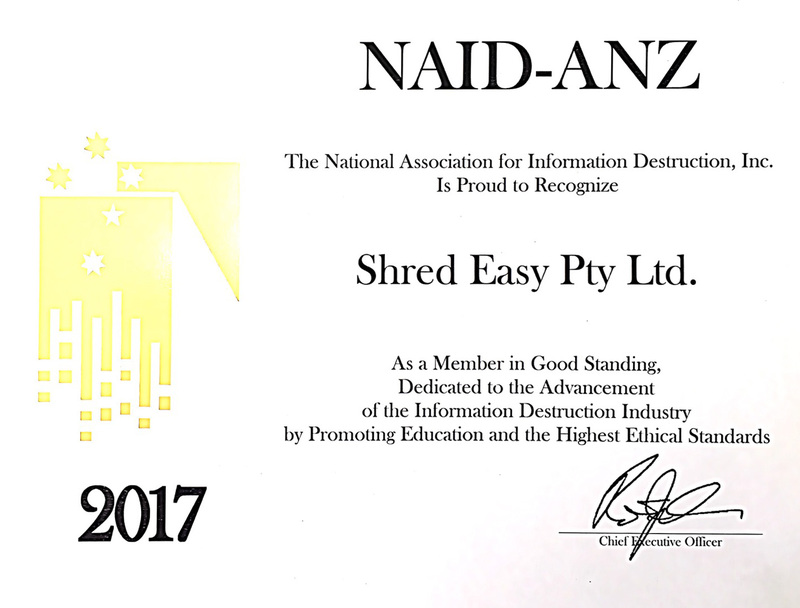 ShredEasy is a member of National Association of Information Destruction (NAID), which is the international trade association for companies who provide information destruction services. Download our NAID Certificate of Appreciation. We are also currently working to achieve ISO 9001 & ISO 14001 accreditations. Our team of experts ensures that we stay up to date with all legislation and best practices for the destruction and shredding industries.